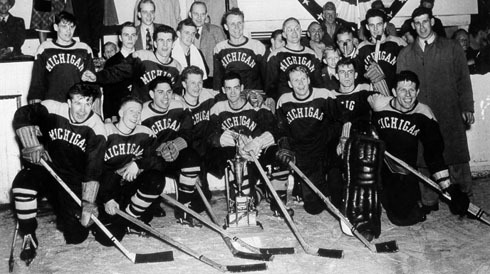 Between 1959/60 and 1979/80, Michigan, along with Michigan State, Minnesota and Wisconsin, participated in both the Big Ten and WCHA. Games among these school are counted in the totals for both leagues, thus the conference totals may exceed the overall totals. Michigan left the CCHA and joined the Big Ten concference in 201/3/14.